The founder of Aikido, O’Sensei “Great Teacher” Morihei Ueshiba was born December 14, 1883, in Japan and died on April 26, 1969. He created Aikido as a synthesis of various martial arts that he had already learned as a youth. Particularly significant for its development was his association with Master of the “daito-ryu aikijutus” – Sokaku Takeda – who he met in about 1910 and with whom Morihei Ueshiba trained intensively for 3 – 4 years. Besides his physical training, he was also interested in religion and spirituality. In this connection, a particular personality that Ueshiba met in 1919 has to be mentioned Onisaburo Deguchi. Following the large changes that took place in the social order in Japan at the beginning of the 20th Century, numerous sects and religious communities emerged just as did the Deguchi “omoto-kyo” religion that at that moment could have counted several million flowers. Spirituality, as in the “omoto-kyo”, was perhaps one reason for Ueshiba’s enlightening experience that he is supposed to have had in 1925, and which opened up the way to his ‘discovery’ of the secret of the universe’. 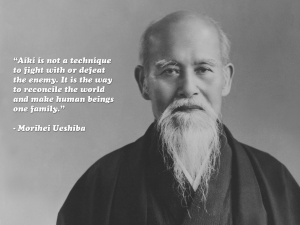 Whatever is reported over this and whether it is true or not can be absolutely ascertained – some things that are written today over the life of Ueshiba rather belong to the annals of legend that the truth. Nevertheless, Ueshiba’s realization that the heart of martial arts (Budo) lay in unifying opposites and to respect current things and revere them. This gives us that basic thought in Aikido. 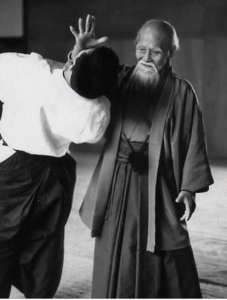 Ueshiba first used the term ‘Aikido’ around 1925. He became even well-known more with “his” martial art and in 1927 he went to Tokyo to give instruction there. Exercises with the sword and staff always belonged to the training program. Around 1942, Ueshiba’s gradually pulled back from the limelight and handed over the directorship of his school – hombu dojo – to his son Kisshomaru Ueshiba (1921 – 1999). After the Second World War, all martial arts were banned by the occupying American Forces. 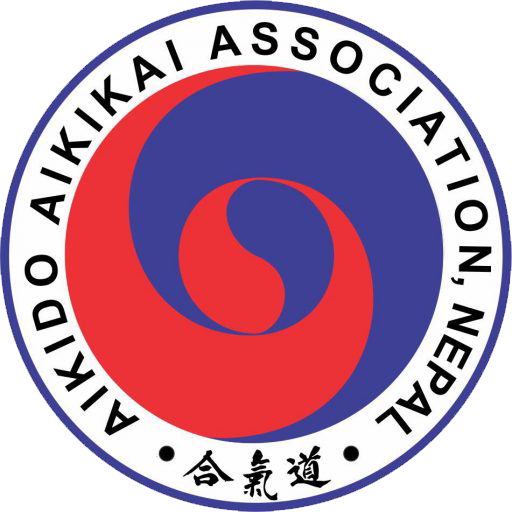 Instruction in Aikido could be first given in 1949. In the decades that followed, Aikido eventually became known outside Japan, because numerous students of Morihei and Kisshomaru Ueshiba left Japan to spread Aikido around the world. Morihei Ueshiba, himself, only gave instruction to a few students in Iwama, Tokyo and Various other towns. Since the death of Kisshomaru Ueshiba, the current doshu (meaning approximately “Keeper of the way”) is Moriteru Ueshiba (1951 - ), the grandson of the founder. He continues his father’s work. 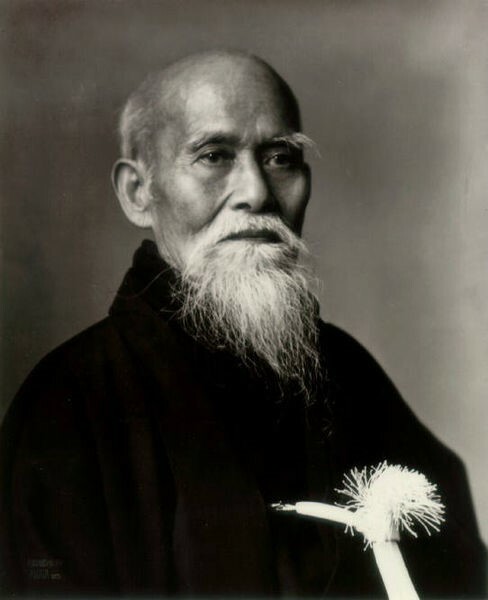 Kisshomaru Ueshiba restructured the aiki-kai, the well – known umbrella organization of Aikido (Aikikai Foundation founded 1948) and gave Aikido a systematic, modern form making incapable of being instructed and learned. From today’s viewpoint, Morihe Ueshiba is less the focal point of Aikido, but more the person who got an evolution going. 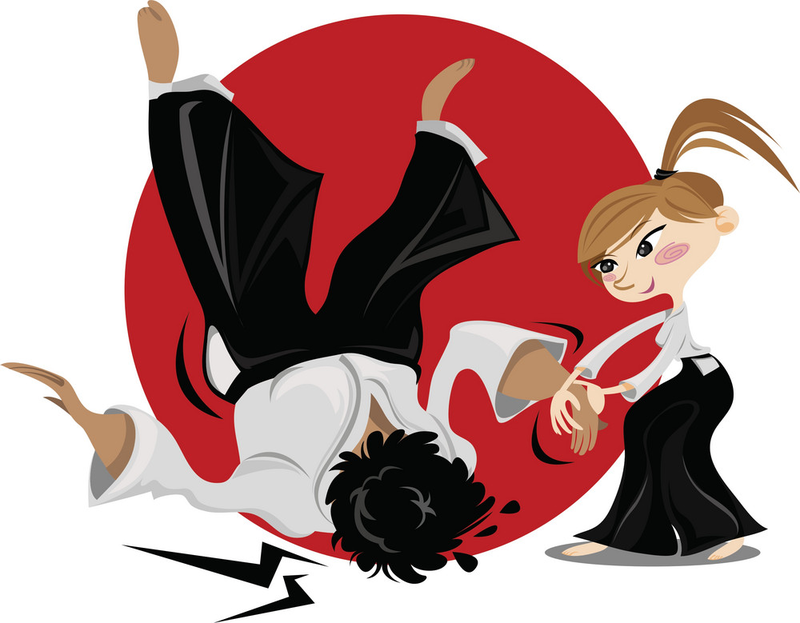 This is the way that Aikido is instructed today across the world and it continues to increasingly win popularity, despite the fact that it does not have the public appeal of competition. For example, if you type the world ‘Aikido’ in any Internet search machine you will find well over 10 million results. 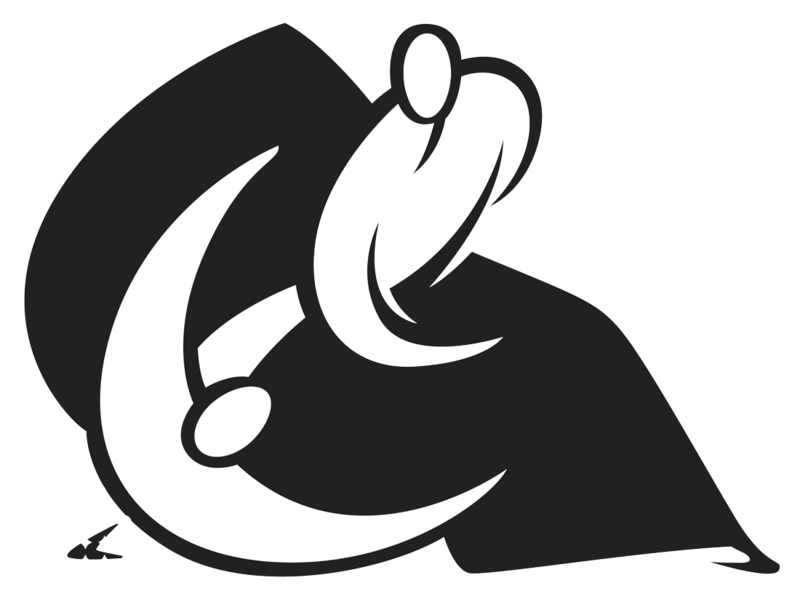 One of the large courses and seminars of well-known Master of Aikido, you can meet Aikido-ka from many different nations and training alongside them.